Yes, Thames did celebrate Halloween during the 1880s. We often hear today, why celebrate Halloween? We never have before...well that is not the case. Granted the emphasis was different than todays sole 'trick and treating' theme, but nevertheless it was Halloween. St George's Church Hall at centre of photo, behind it is the St George's Church. To the left is the Thames Hospital and the Baillie Street entrance. On 31 October 1888, at the St George's Church Hall, 350 people gathered to celebrate the old Scottish tradition of Halloween. The event was organised by a committee of the following ladies: Mesdames Pitkethley (senr), Smith, McAndrew, Moore, Bowie, Murdoch, Gibb, Wilson, Wells, Fletcher, Corbett, Cooke, McGregor, Anderson, Davis, Brown, Mulligan, and Miller. In subsequent years, the Thames Burns' Club continued to celebrate Hallowe'en. Some years it was a Social and others a full Halloween Ball. The Thames Scotchmen's Annual Night Off. PLAIN AND FANCY FACES AT THE BURNS' CLUB BALL. The Church of Christ has always had a special place in our family, with my Grandmother being a faithful member during her life in Thames. The details of the first meeting in the Pollen Street Lecture Hall (old Munster Hotel) can be found online at Paperspast. This was on 9 November 1884. Two hundred and thirty people attended the service, with numbers boosted for the later public address. The evening consisted of singing and addresses. Names mentioned were: the Chairman (Mr E. R. Taylor), Messrs White, Steed (Thames), Wilcox, Walker, Cropp (Thames), Carr, Aldridge, and Squirrell. Mrs Adlam provided the excellent tea. The Auckland visitors were very impressed with the hall, and the irony that it was once a hotel. The church is now located at Parawai Road, Thames. 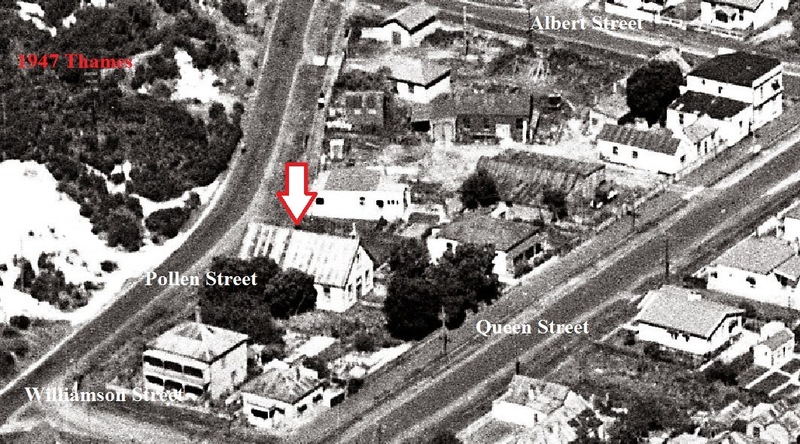 The old site in Sealey Street is at the back of the Imperial Hotel - Mitre10 garden centre. Let this be a reminder to all family researchers to revisit and revisit your resources. At the time we may think we have exhausted our use of a piece of paper, file, census, photo etc. Gather all your items paper or digital and see if anything new helps you on your history and genealogy journey. Why am I saying this? Well for years I have seen a photo of a hall at the north end of Pollen Street. I just assumed it was one of the many lodges that were dotted around the town, even having researched the street directories I had brushed over its significance. It wasn't till a fellow researcher queried what I knew about the catholic church in Queen Street (thanks Graham), the penny dropped and realised that this was the Grahamstown Catholic Church. 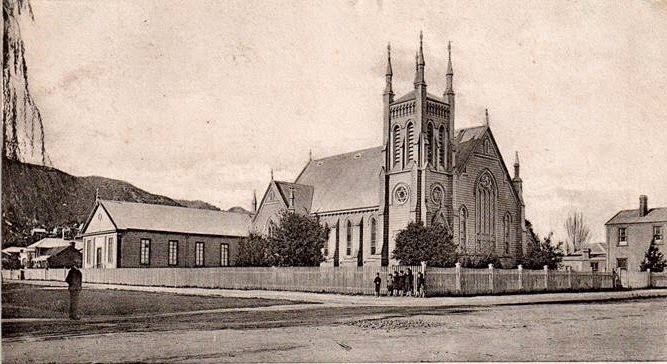 It has taken a week and lots of questions to confirm that the correct name for the church was the St Brigid's Catholic Church located at Queen Street, Grahamstown/Thames. It was then that I looked in my photo file and found a panorama of Thames that has buildings identified and sure enough there it was...double confirmation. 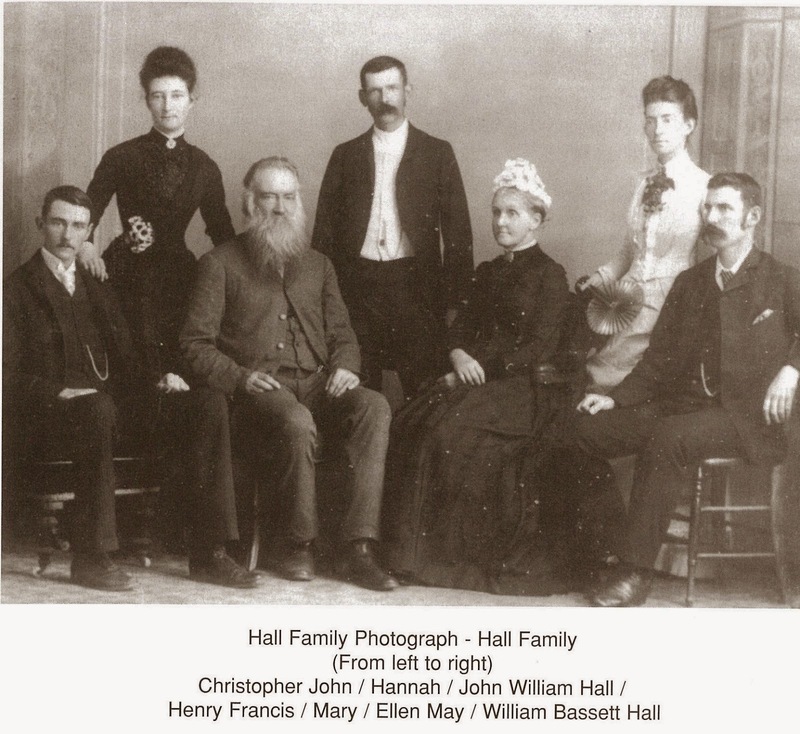 In 1879 the MARRIAGE took place for Hutchinson & Scheidler. Hutchinson—Scheidler.—November 27, at St. Brigid's Roman Catholic Church, Grahamstown, by the Rev. Father O'Reilly, Samuel Meagher Hutchinson, only son of John Hutchinson, Esq., of tbe City of Dublin, formerly Librarian of the Dublin Library, and nephew of Alderman William Meagher, of the same City, to Margaret, eldest daughter of Mr Martin Scheidler, of the Thames. 2012 view of the location of the St Brigid's Church. Thames has had several doctors who have stayed in the town and given many years of dedicated service. One such man was Dr George Lapraik. A General Practitioner who served the town for twenty years, as well as his country during World War One. There is a new article on Dr Lapraik in The Treasury Journal. 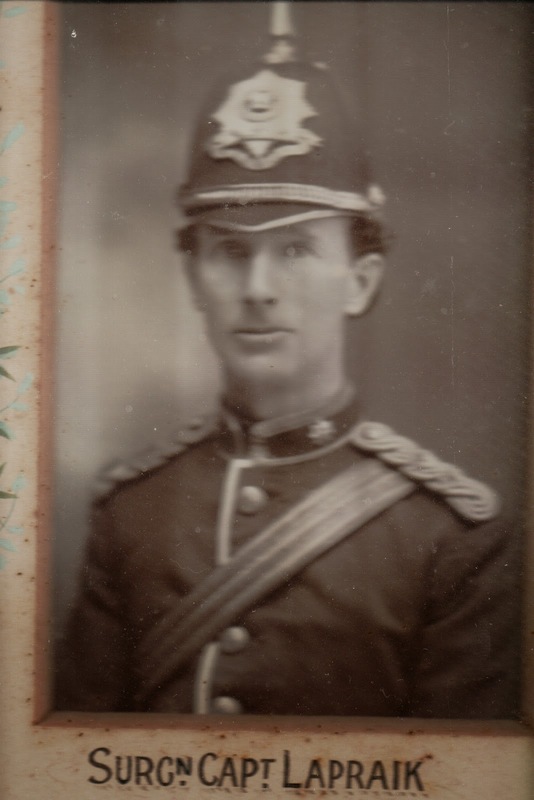 Dr Lapraik was active in the Thames community, including being a member of the Thames Hauraki Rifles, (photo courtesy of The Thames Museum). George Lapraik was born 6 January 1864 in Glasgow, and emigrated to New Zealand in 1897. He came to Thames in 1899 and stayed until 1919. Dr Lapraik died of Pulmonary Tuberculosis on 6 May 1933 at Waikato Hospital, Hamilton. Read the full articles in The Treasury Journal. 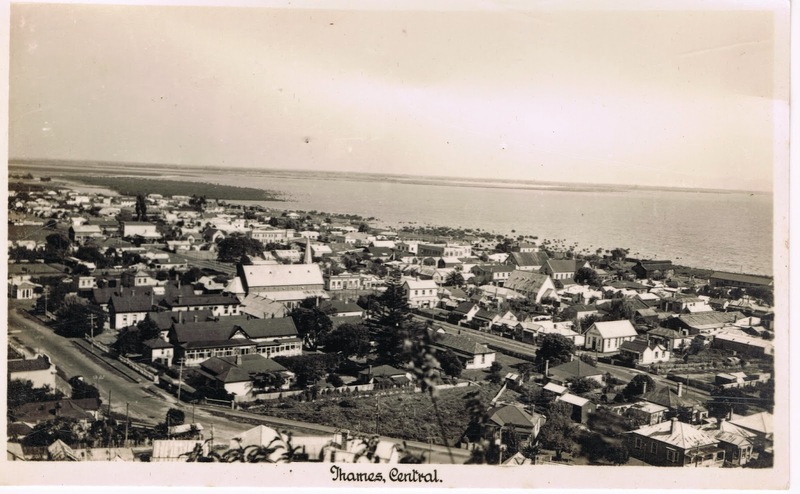 What was happening in Thames one hundred years ago? Below is the news that featured in The Thames Star Friday 23 October 1914. DEATH: Mrs Jane Thorpe INGLIS, relict of the late James Inglis had died the previous day at her home in Cochrane Street, Thames. Jane was 74 years of age and she was buried at Shortland Cemetery, Thames. The Wakatere was due to leave at 6pm for Auckland. Or you could catch the Waimarie from Auckland at midnight and go to Kopu, Turua or Paeroa. 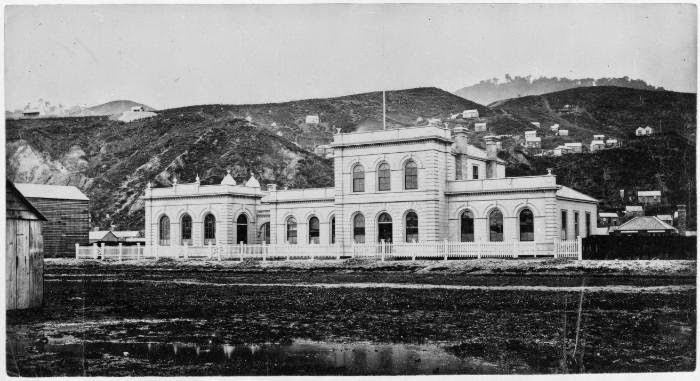 Shortland Fish Market had a wide variety of meat for sale – Pig’s Heads 1s 6d each; Pickled Tongues 6d a lb; Cooked Trotters 2d each. Need some concreting done? Contact L R Gray at the corner of Bowen & Clarence Street. Need a Happy Home? Coakley’s Groceries is the place to go on the corner of Pollen & Willoughby Streets. Thames Bowling Club was holding their opening day the next day at 2.30pm sharp. 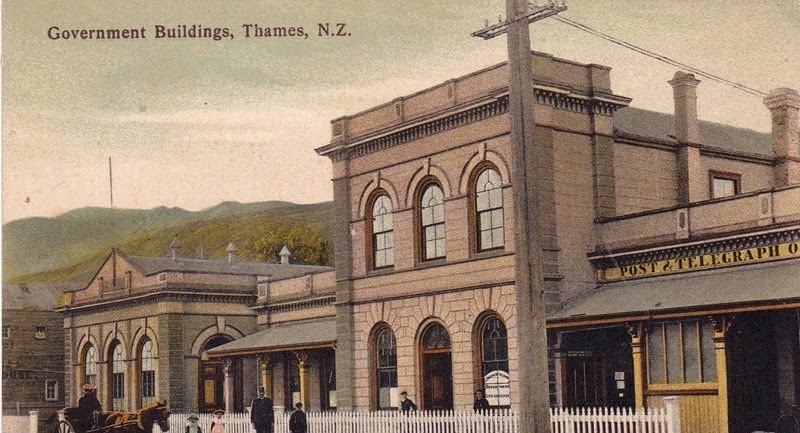 ThamesMiners’ Union were holding their annual combined excursion by train to Te Aroha on Monday 26 October. Tickets were Adults 2/6 and Children 1/-. Contact W H Lucas, the secretary for tickets. Thames Rowing Club had held their AGM the previous evening and Dr Lapraik was elected President. Commodore was Mr A Myers MP. The St Francis Tennis Club opened the previous day at the Cochrane Street Courts. Rev Father Dignan played the first ball for the season 1914-15. There was to be a big concert in the King’s Theatre on Tuesday in aid of the Belgian Relief Fund. Germans expelled. The Allies expelled 5000 Germans from Bruges…The Germans on Sunday ordered a strong force, mostly youths under 20, to cross the Yser at all costs. They failed in their task and their losses are estimated at nearly ten per cent. Thames Sewing meetings had started the previous night at St James’ Hall – the object was to make and provide clothes for the poor of England and Belgium. A large map was published to show operations in France and Belgium. A serious situation for the Thames Drainage Board. The companies paying for the pumping had written to the board and explained they could no longer pay, hence pumping should stop. The Board agreed that pumping of the deep levels should stop once all machinery had been removed. Mining News. The Occidental Consolidated was dues to crush some ore, a few dabs of coarse gold were picked out when breaking down the reef this week. Just a little filler, while I'm occupied with some oral history abstracts for the Coromandel Heritage Trust Oral History Recorders at Thames. The three photos below are taken from Bird-in-Hand Hill and Irishtown area, Thames. Virtually the boundary line of the old goldfield towns of Shortland and Grahamstown, which ran down Karaka via Pahau Street to the sea. Photo One: Looks over the Karaka Road to Block 27, where the miners originally were given the right to camp on the days when the field opened in 1867. The Una Hill is on the centre left, with the Kauaeranga area beyond. Photo Two: Looks south, down the roads of Rolleston Street (left) and Baillie Street (centre). A portion of Baillie Street has been closed, to allow expansion of the Thames High School campus. The large two-storied building in the centre of the photo (on left hand side of Baillie Street), is the Nurses' Home (later known as the old Nurses' Home). Photo Three: Looks south-west over the old Shortland town, Thames. The Thames Hospital campus dominates the centre left, with the St George's Church towering above. To the right of that on the corner of Mackay and Mary Streets, is the Thames Men's Club, the home built by Reverend V. Lush. Old photographs, postcards and Street Directories are available at The Treasury, Thames. Hunt for photos at: Auckland Libraries, National Library of New Zealand and via Digital NZ. A wonderful photo thanks to 'Kete West Coast' and the Buller, Grey and Westland District Libraries. Just another example of the need to look far and wide, you never know where these treasures will turn up. 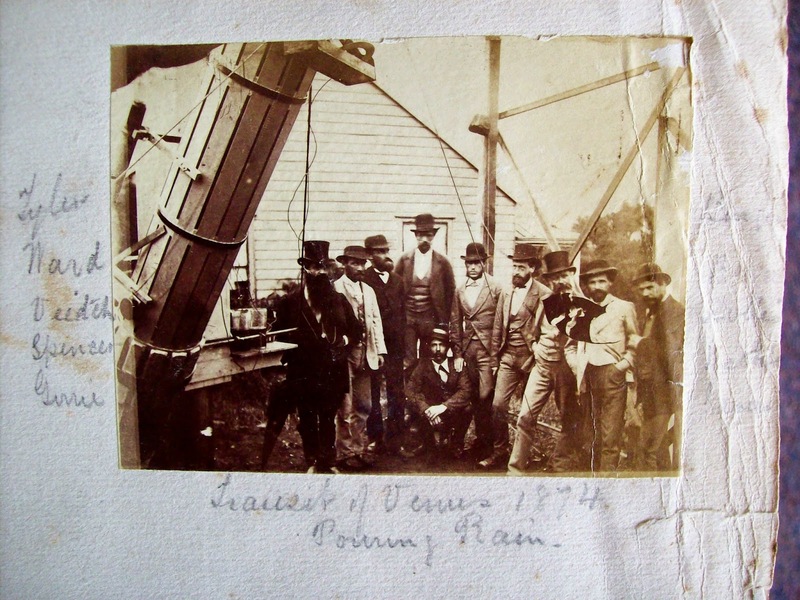 Caption: This image was possibly taken at Thames, and shows the telescope used to (hopefully) track Venus. Surnames include TYLER, WARD, VEITCH, SPENCER, GORRIE, those on the right-hand side of the image are illegible due to fading. There is some interesting discussion on the photo at the Kete West Coast site. 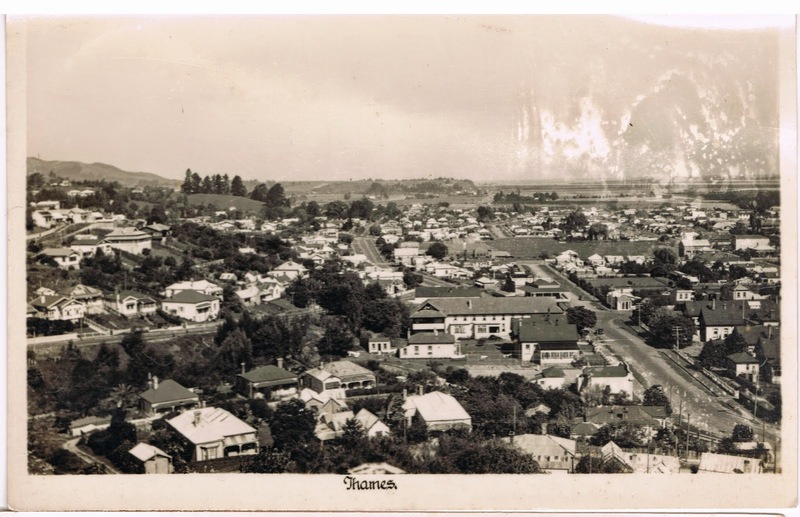 Many Thames families have connections to the Waihi-Waihi Beach area. 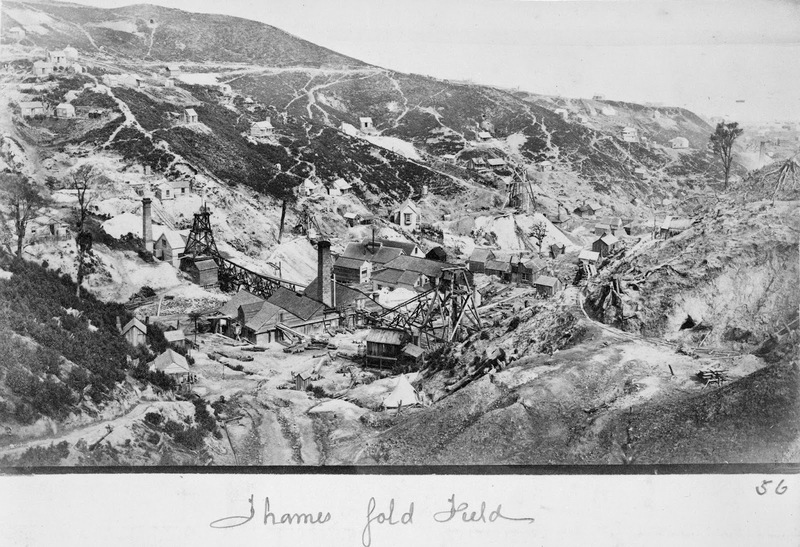 When the Ohinemuri Goldfield opened, many Thames miners moved south and then ended up staying in the Waihi area working at places like the Martha Mine. 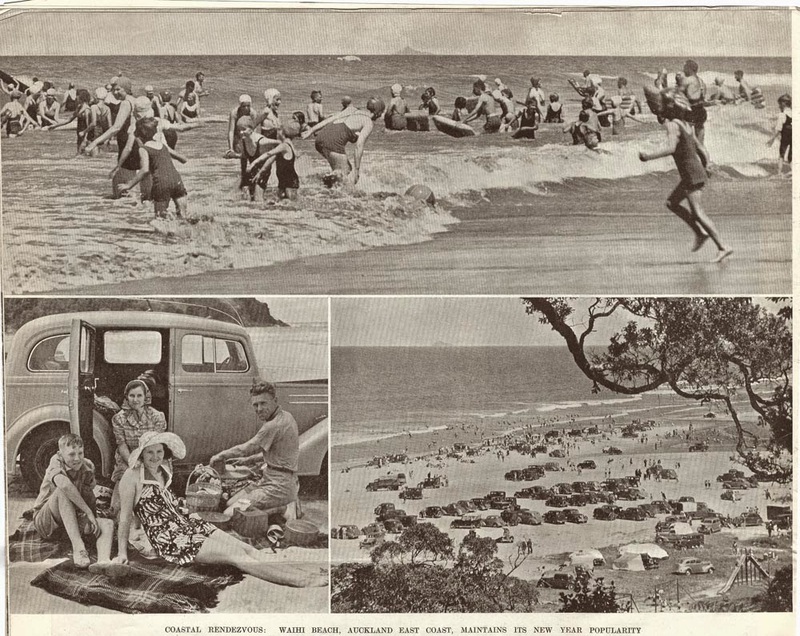 Waihi Beach was always a popular place for a day trip or holiday. How strange people would find it today, to see cars driving along the beach or parking at the waters edge. It was not without its danger, as many a car got stuck and needed assistance to get free. We all were skilled at getting a car out by digging around the tyres. Yes, and we realise now that environmentally it wasn't a great thing to do!! What memories do you have of the greater Thames area? The Treasury at Thames is co-ordinating a series of 'True Tales' books from right around the Coromandel-Hauraki District. They would love stories from these areas, both recent and old. They must be about the name of the town or area in the title. They mustn’t be longer than 1500 words (about 2 typewritten pages or three handwritten pages) and need to contain some photos. They can be early or recent tales. They can be about people, places, organisations, buildings, memories, events, humour, tragedy. These little snippets are a great way of recording interesting community history which won’t make it into the history books and will be forgotten if not recorded in some way. CONTACT the TREASURY for more information. The northern Coromandel area have three 'True Tales" books that are available to purchase at The Treasury, Thames. When you visit old goldmining towns like Thames, it is well worth the visit to go and see examples of the mining process. Whether it be to the Goldmine experience, the Thames School of Mines or the Bella Street Pumphouse - you will learn a little of what the town was like and what the miners did at Thames. 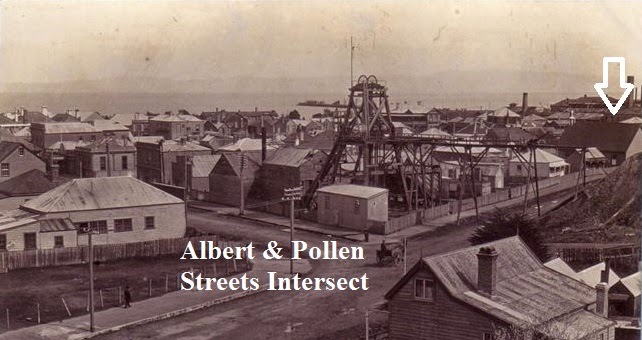 There is also a copy of a talk given by Kae on "Thames Goldfields Now and Then." 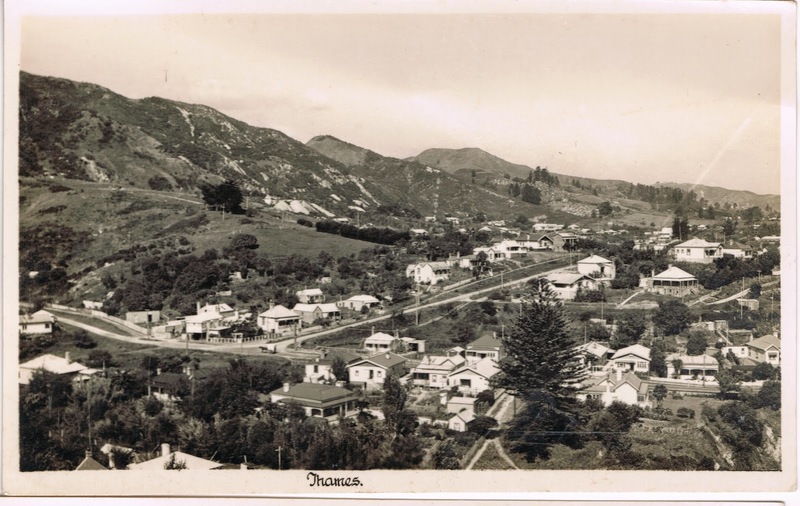 This is well worth a look, as it takes you on a walk to the mines in the hills behind Thames, you have the chance to hear what it would have been like for the miners and their families who lived in places like Punga Flat, Moanataiari Creek and up the Karaka. I couldn't resist adding this crop of the centre of the photo. Query the Mine Manager's house - fully fenced, a small garden and a wonderful little bay window to attract all the northerly sun. Further information on mining also available: at Kae's Gold Miners database and at The Treasury. The question came up this week, as to what the area at the Shortland Wharf area looked like when the goldfield opened in August 1867. 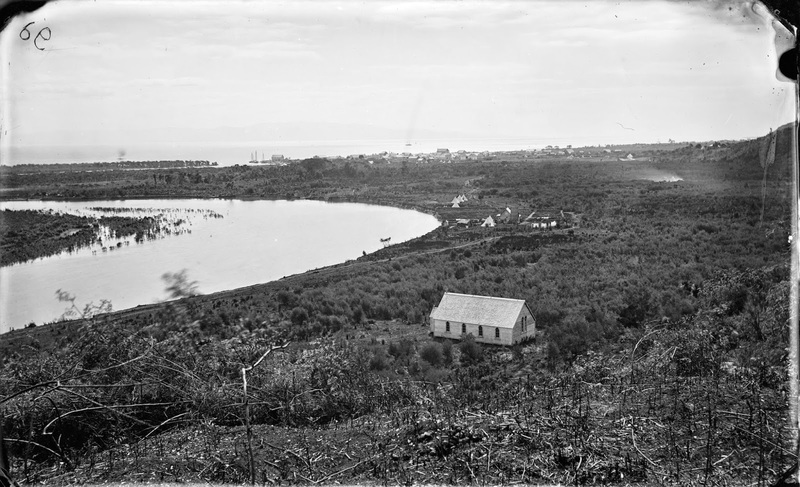 Above: Shortland (now known as Thames), photographed from the Hauraki Mission station in 1868 by Daniel Manders Beere. A close-up view shows the landing area, more easterly than the present structure, as the river mouth to the Kauaeranga River has changed over the years from silting and debris build-up. 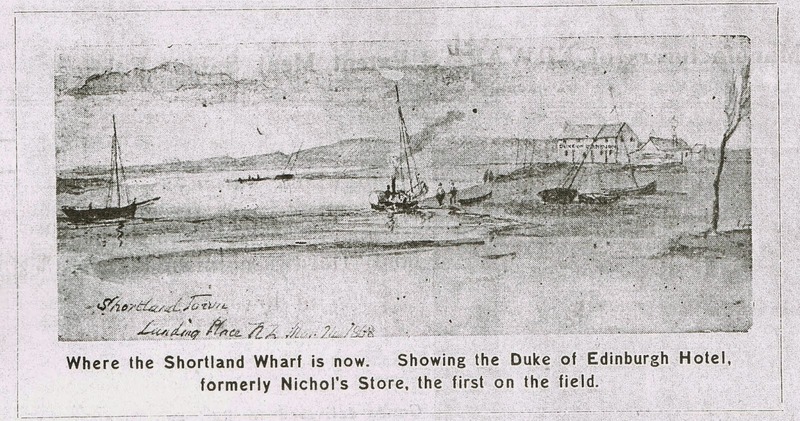 The Duke of Edinburgh Hotel standing proudly by the waters edge - previously Nichol's Store, the first business from pre-proclamation days. ﻿﻿﻿﻿﻿﻿﻿﻿﻿﻿﻿﻿﻿﻿﻿In September 1867, William Nicholls was granted a bush license to sell alcohol from his premises. William was one of the oldest colonists in New Zealand, having arrived in 1840 and he settled at the Thames in 1866. (Obituary below) Nicholls married Hera Te Whakaawaa, a chieftainess of the Ngatirangi and Ngatihaua tribes. He was born in Cornwall in 1818 and died near Te Aroha December 1900. William Nicholls is buried in the Te Aroha Cemetery, Te Aroha. 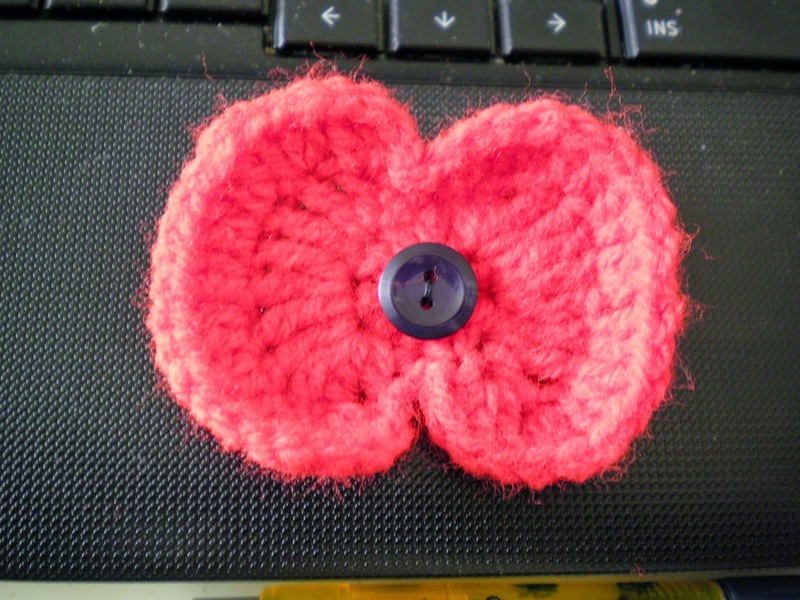 Many towns and groups in New Zealand (and overseas), are busy making poppies as part of the WW100 commemorations. One example being 5000 Poppies NZ: As part of the 2015 Anzac Commemoration, the 5000 Poppies Project (NZ) will be creating a wall of more than 5000 poppies as a stunning visual tribute to New Zealand servicemen and women. The 5000+ poppies will be displayed at the Air force Museum in Christchurch from February - July 2015. The Treasury at Thames, is also asking for contributions of handcrafted poppies that can be used to commemorate the men from the greater Thames area who died in or as a consequence of their World War One service. There are a wide variety of patterns available on the internet. 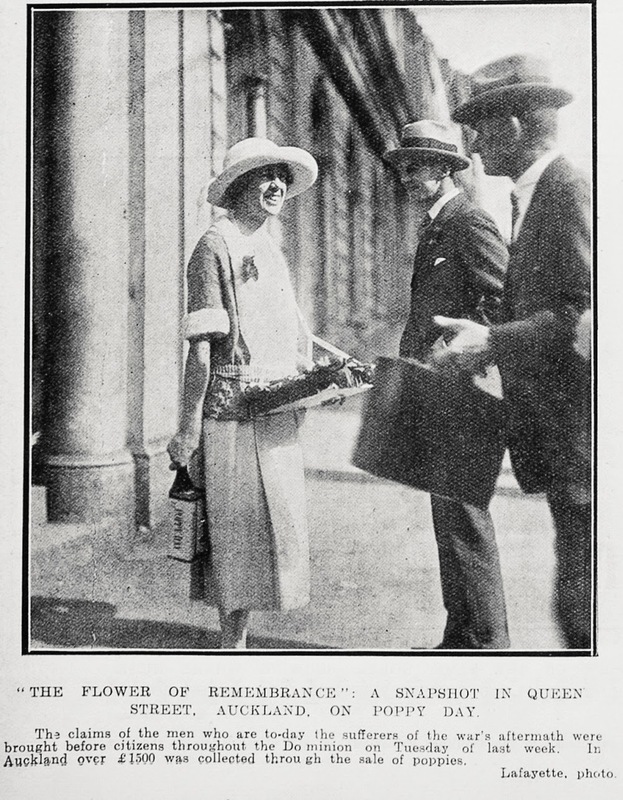 In the Thames Star 27 August 1918 it was noted that wildflowers grew on the battlefields. Thames men were sending poppies and anemenes (sic) back home to their families. Later, for sentimental reasons many towns wanted to plant poppies from Europe - many were reminded that thy were actually considered a noxious weed. The first Poppy Day was held 25 April 1922, having originally been planned for Armistice Day 1921. The money raised being used towards helping unemployed WWI soldiers. The influx of people following the proclamation and opening of the Thames Goldfields on 1 August 1967, must have stunned many of the early town planners. 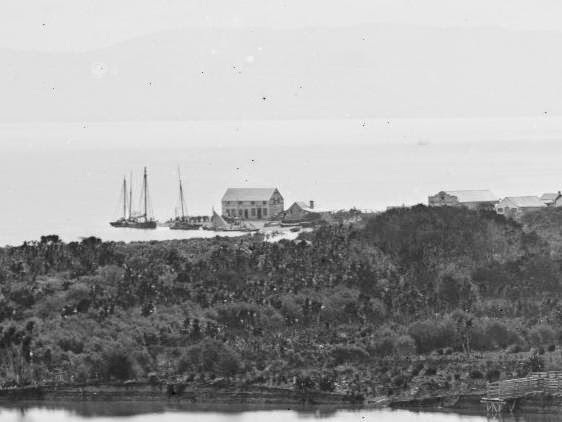 The old courthouse and police buildings at the southern end of Shortland were soon inadequate. A new courthouse and Government offices were opened at Queen Street, Grahamstown in 1870. The conditions were noted to be greatly improved! "The government buildings were built at a cost of £3941, tenders having being called in September 1869. 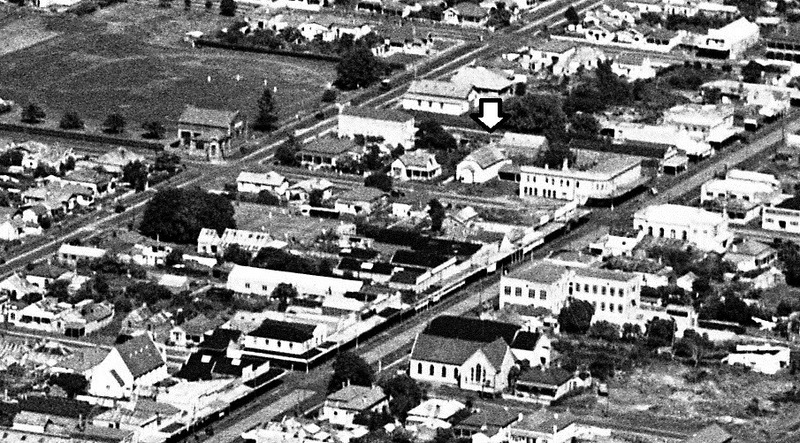 They comprised four interconnected pavilions with the courthouse on the northern end and the telegraph office to the south. Tenders of an as yet unknown nature to alter the courthouse were called in 1914 by the District Engineer [F Bigg-Wither]. All but the courthouse was demolished in 1955, the Post Office having been replaced by a new building in Pollen Street in 1938. The Crown vacated the courthouse in 1981." Source: TCDC Heritage Report by D A McEwan. A grand group of buildings, that would hold various government offices such as Post & Telegraph and the Courthouse. The photo below shows some verandah extensions over two sections of the building and the old boarding-house to the far left, which would later become the site of the Police Station. One hundred and forty-four years later...just one part of the Government Building remains on the site at 726 Queen Street, Thames. The building is on the Historic Places Register as a Category 2.